With this trendy wallpaper with plain linen texture in black you bring a lot of warmth and atmosphere into your home! You can combine this wallpaper with many styles and is an ideal alternative to paint. In short: an absolute must-have. 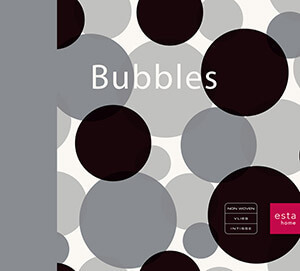 You will find this wallpaper with plain linen texture in black (135401) the collection Bubbles.